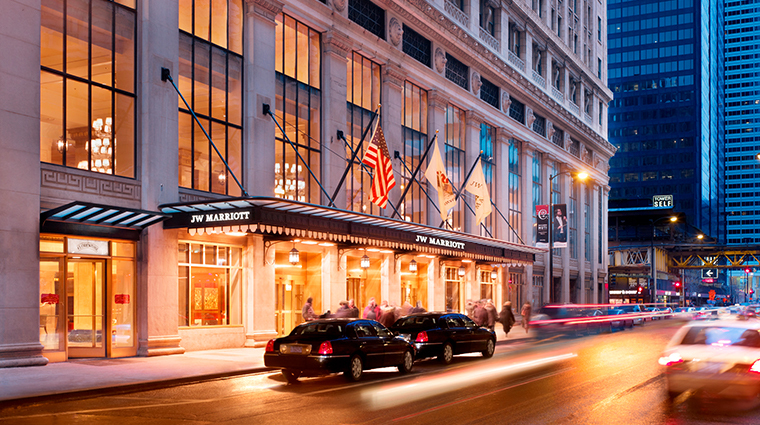 In a city packed with architectural gems, JW Marriott Chicago manages to elegantly stand out. 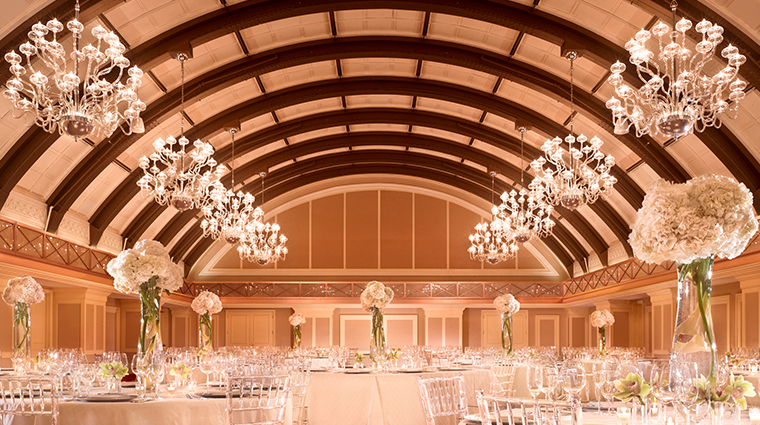 The 1914 building designed by the famed Daniel Burnham was once a bank (you can still see the grand domed ceiling in the Burnham Ballroom) and retains its original charm alongside modern updates. 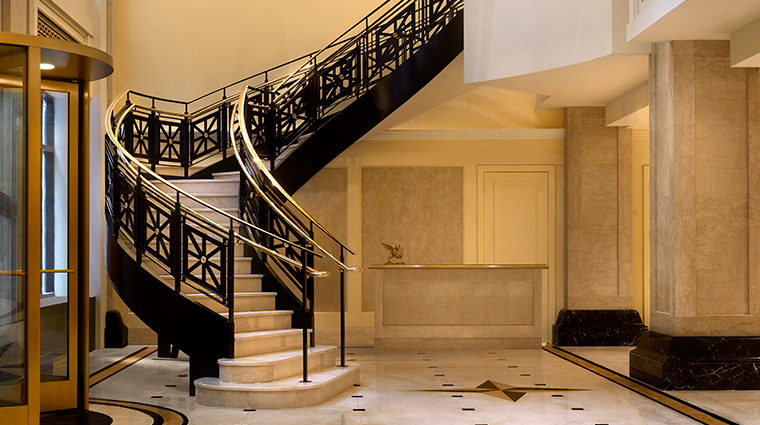 The marble lobby is simply stunning with two winding staircases flanking each side, and it hums both day and night as locals and visitors fill The Lobby Lounge for breakfast, lunch and dinner. Guests can also dine at The Florentine, a rustic-chic Italian restaurant. 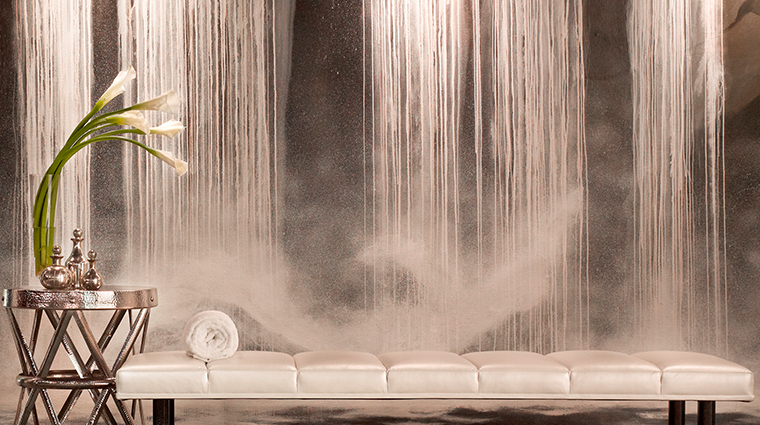 The 610 rooms are contemporary and comfortable with oversized bathrooms; the 20,000-square-foot spa and wellness center is located on the lower level (get a luxe treatment in the modern Turkish-style hammam). 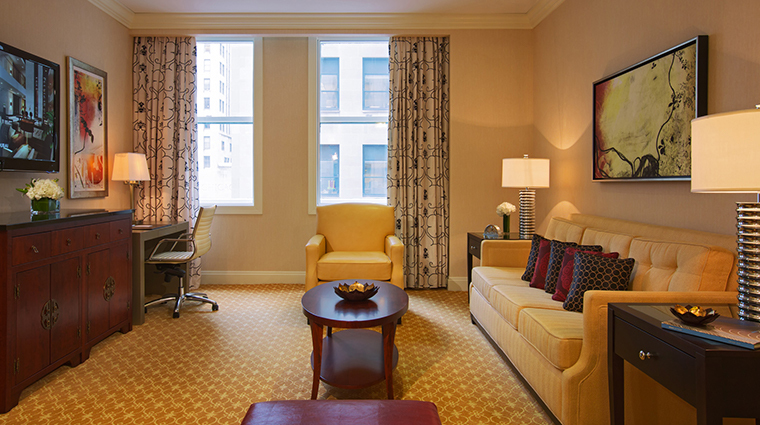 Located in the Financial District in Chicago’s Loop, the hotel serves as a base for business-minded guests looking to eat and sleep in laidback luxury. 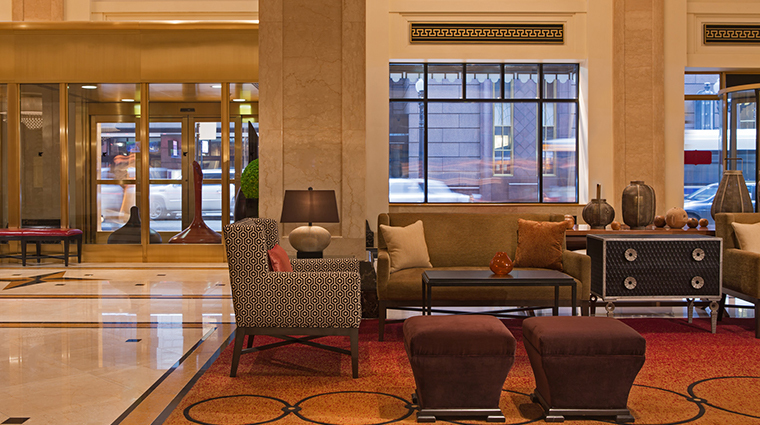 The hotel occupies the historic Continental & Commercial National Bank Building, so staying at the JW Marriott feels like connecting with an important piece of Chicago’s architectural past and you even can see renditions of architect Daniel Burnham’s original drawings throughout the building. 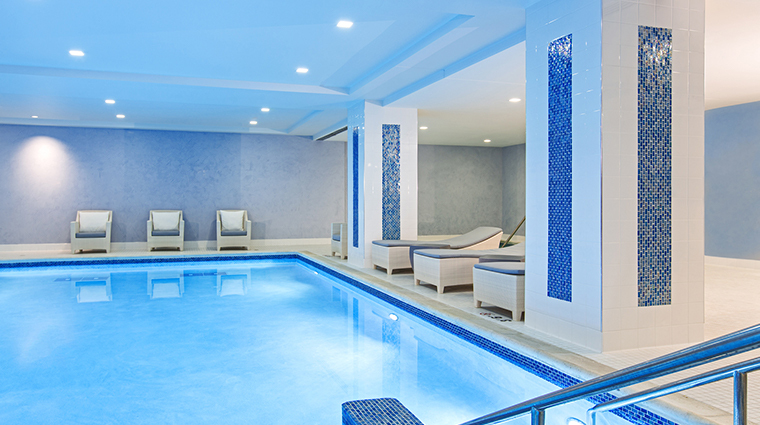 Comfortable chaise lounges surround the indoor pool provide you with the perfect place to lie back after a soak. The pool is also a great treat if your travels involve family, since kids will enjoy having such a large place to splash around. 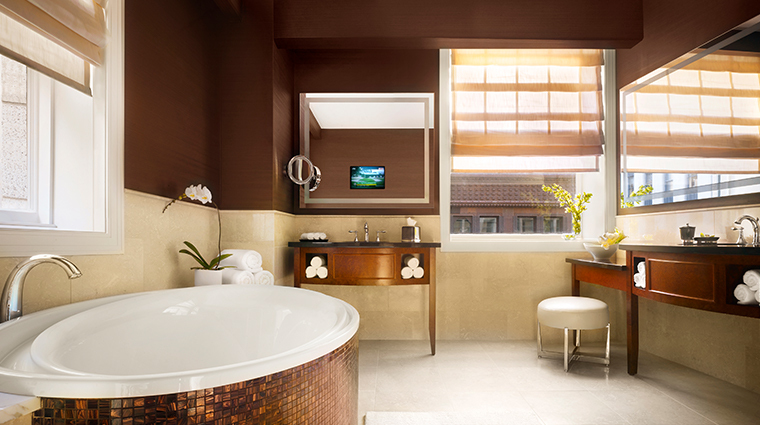 For those looking to enjoy a more private soak, suites come equipped with a deep soaking tub elegantly appointed with marble and high-end fixtures. 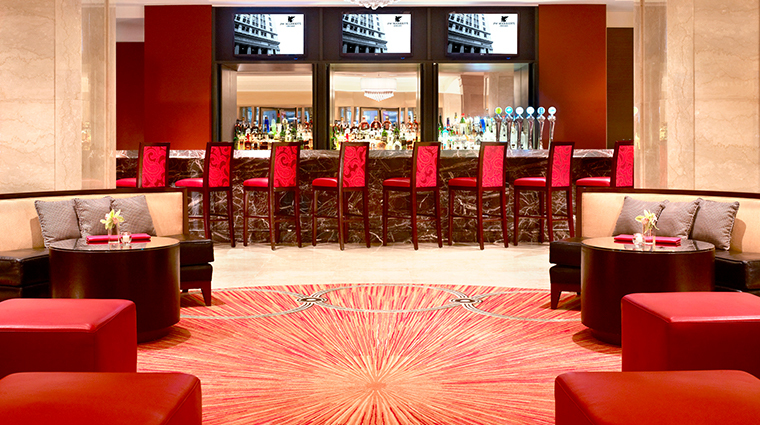 Grab a seat early if you want to enjoy happy hour drinks in The Lobby Lounge or lobby bar, The Florentine. 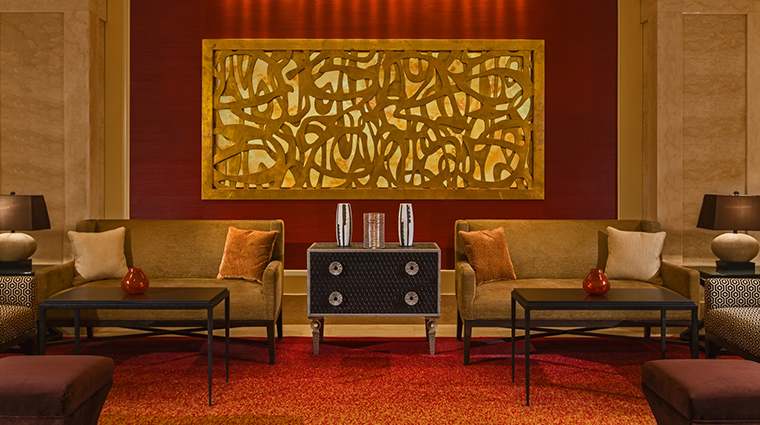 With the hotel’s central location in the Chicago loop, locals migrate to the hotel after work in droves for the upscale vibe and affordable specials. 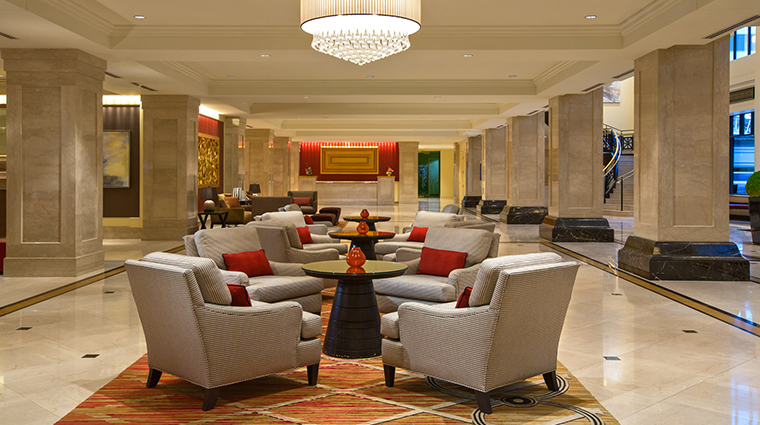 The Lobby Lounge turns into a casual breakfast dining room in the mornings. 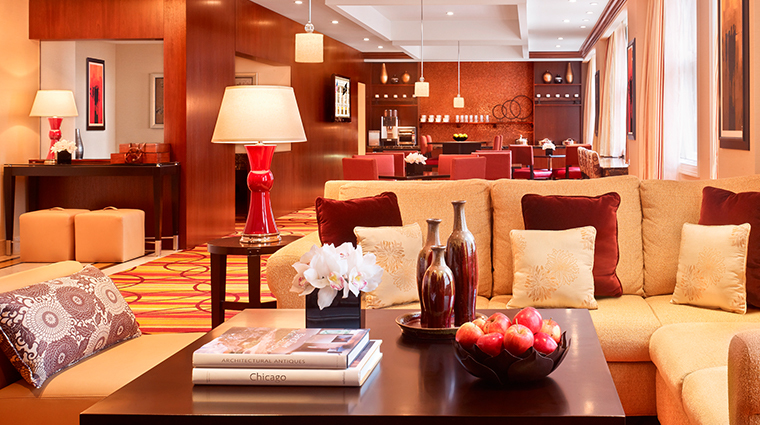 It’s a convenient place to grab a quick coffee, pastry or fruit plate. Traffic in the loop backs up during work week rush hour. Can’t get a taxi? Don’t worry. The city is very pedestrian-friendly and you’ll enjoy the sights as you walk to your nearby destination. 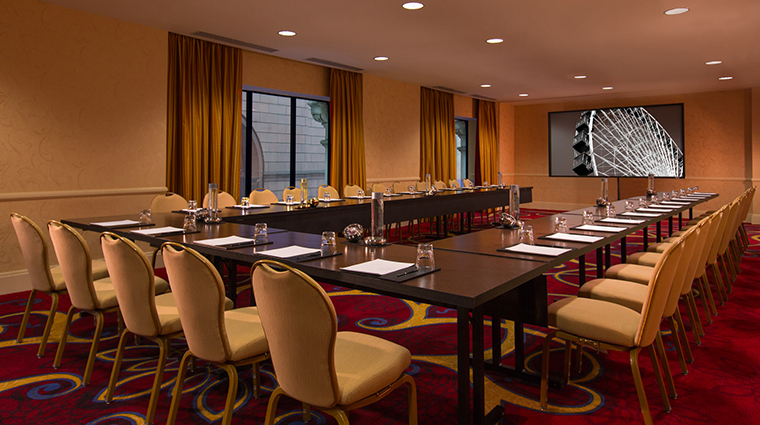 The JW Marriott Chicago’s standard rooms are some of the most spacious in the city, and have 10-foot ceilings and large picture windows you wouldn’t expect from a 1914 building. Warm, neutral tones are accented with pops of burgundy (a throw pillow, a plush chair), crisp white bed linens and gorgeous dark wood furnishings crafted by the Ohio Amish. 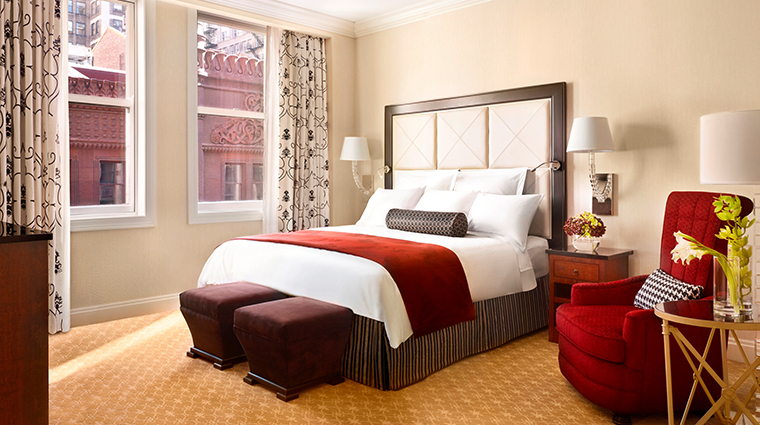 The in-room technology is thoughtful, from the bedside iPod docking station and handy reading lamps built into the bed to the 42-inch television and stereo system. Bathrooms are roomy, too, and feature Italian marble, separate soaking tubs and bath products by luxury line Aromatherapy Associates. 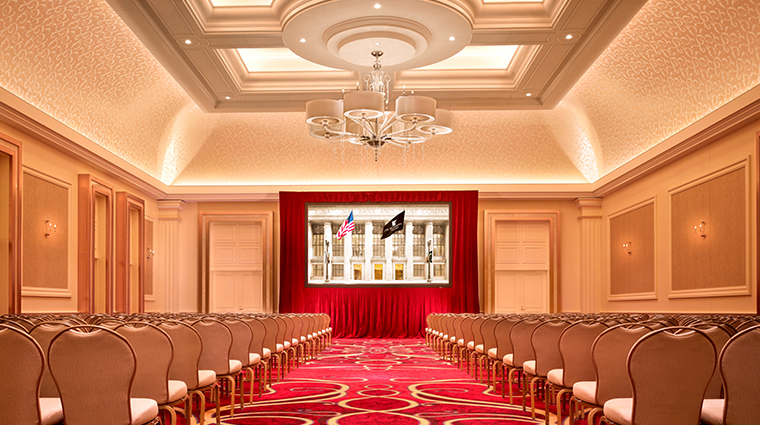 The Lobby Lounge hums with activity from breakfast through lunch, dinner and cocktails. 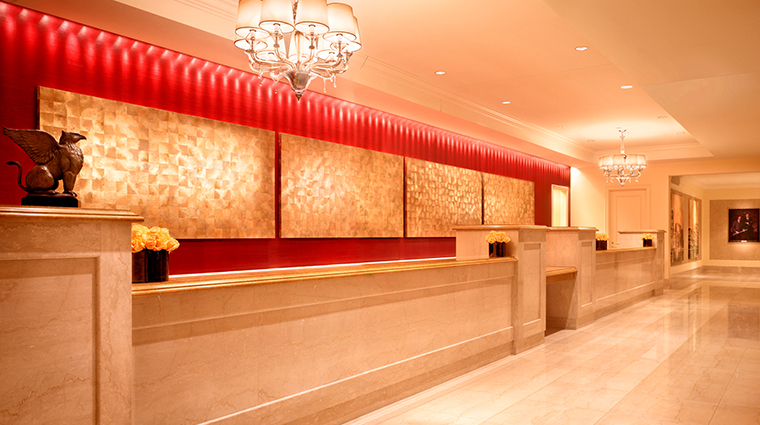 The space itself has a heady, opulent feel — everywhere you turn there is marble and pops of gold and rich reds. The menu is international, with dishes such as white bean hummus and smoked pork belly flatbread. And while specialty liquors can be found on the drinks menu (small-batch whiskeys, craft beers), the Chicago-themed signature cocktails are worth a try — we like the Day Trader, made with peach-infused Maker’s Mark, maple syrup and fresh grapefruit. The Florentine is an upscale Italian restaurant that feels a bit rustic, a bit clubby and totally chic. Open for breakfast, lunch, and dinner, the restaurant serves pizza made in the wood-burning oven, and more elaborate main dishes such as Mediterranean sea bass, braised rabbit and mushroom and delicate goat cheese ravioli.